Branding creates a brand, and KOLs help build that positive perceptionin the minds of target consumers. But how do they do it? Throughoutthe years, brands have been actively seeking the best social media influencersto work with. They want to be associated with them because of their power to convince and persuade the buying decisions ofconsumers. This high demand has led to create an industry of itsown. Yes, KOL Marketing is no longer just a tactic, it’san industry that opened a lot of doors and endless opportunities for bothbrands and influencers. KOLs have the capacity to help create high qualitystrategic branding that can position your brand to be the choice of consumers.Marketers are expected to spend more of their budgets for KOL Marketing, sothis trend is likely to continue in the future. Thenumbers may already speak for themselves. But beyond the costs of working with KOLs and the process of launching your first KOL Marketing campaign,the main question is this: How do KOLs do it? Thisis something that brands should keep in mind: KOLs have the ability toinfluence consumers through emotional connection. As we all know, KOLs comefrom different walks of life, but they’re just like us. They understand theconsumers’ wants and needs, so they’re perfect brand ambassadors. But whatexactly must the consumers feel in order for them to trust and connect with abrand? Agood explanation of that would be Courtney Seiter’s The Science of Emotion in Marketing. She dives intothe four basic emotions that would appeal to the masses. For example, happinessdrives the action of sharing, which is probably the main reason why it is theleading element of social media sharing. According to several studies, the morepositive a campaign is, the more likely it will go viral and touch the heartsand minds of readers. 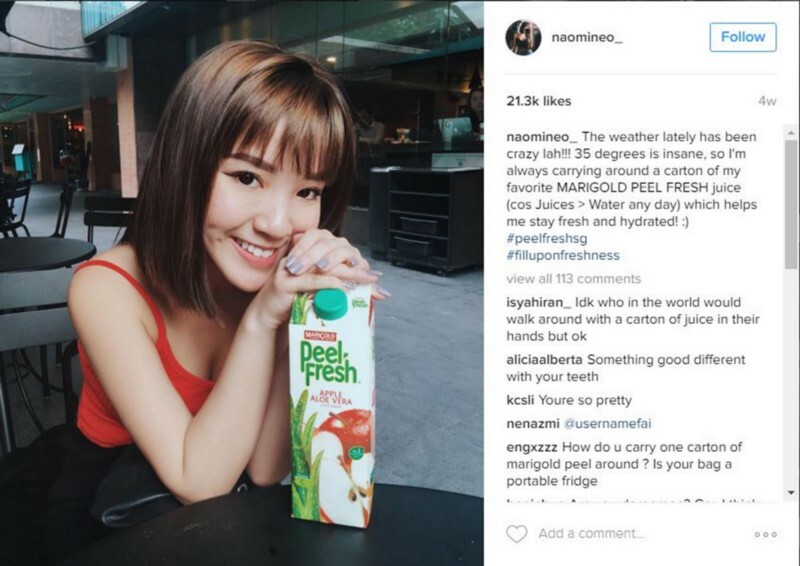 KOL@naomineo_’s goal is to promote Marigold Peel Fresh. But she started it off bytalking about the crazy weather she’s experiencing. Right from the start, shealready caught the attention of consumers because we all know how frustratingit is to experience the same thing. But she made a way to reverse that thoughtby sharing how the product makes her stay fresh and hydrated despite the 35degrees of weather heat. Additionally, she is also smiling in the photo — which is a smart thing to doas it creates a positive brand experience for the audience. 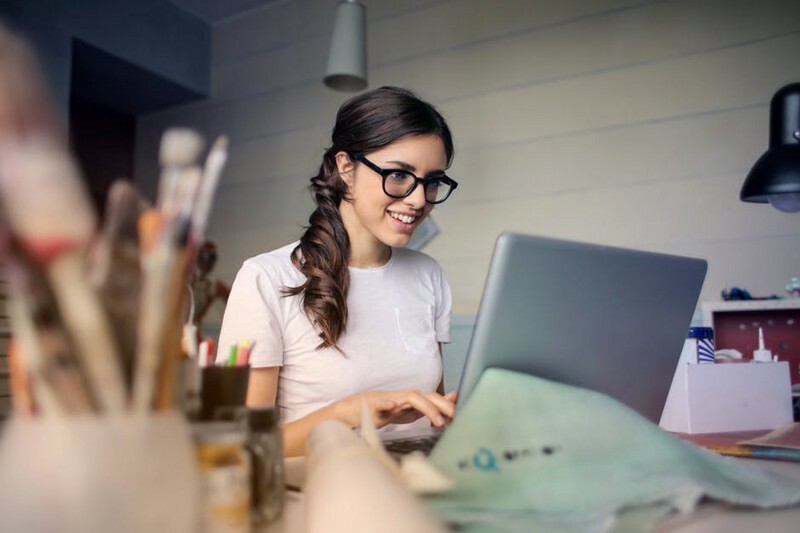 Itis vital for brands to always connect with their audience in a positive way.But it still depends as happiness isn’t the only emotion you can use to connectwith your audience. Depending on the campaign, utilizing different emotionswith the help of KOLs is a good way to gain the trust of consumers. Asidefrom triggering emotions, KOLs also has the power to justify the price of acertain product. For luxury brands, it can be pretty hard to sway your audiencebecause of the premium price offer. Not a lot of people are well-off, butmajority of brands have found a way to convince people to patronize them: thatis through KOL Marketing. KOLs (Key Opinion Leaders) wouldn’t be called KOLsfor nothing. 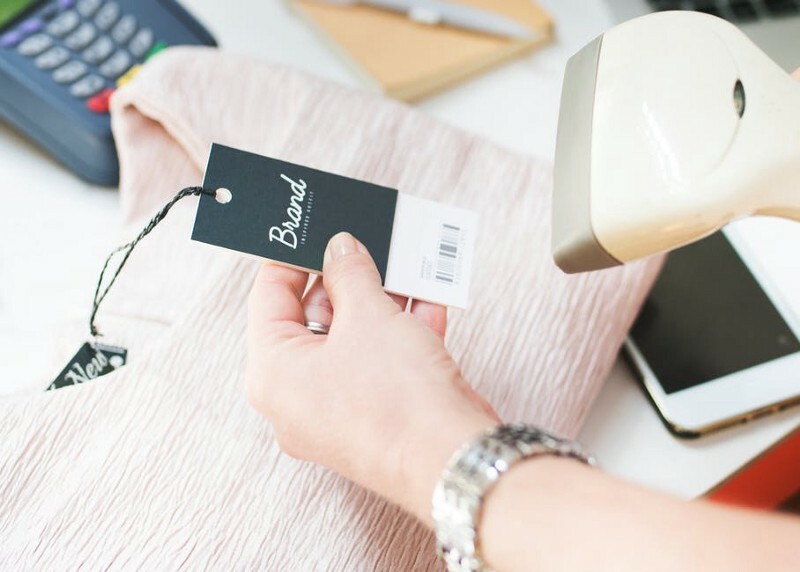 Their opinion and sentiments matter, that’s why they’re trusted bybrands as they don’t only bring awareness, they also drive sales and boost ROI. Throughout theyears, they managed to enter the APAC region including the Hong Kongmarket. Majorityof consumers (especially millennials) struggle to decide whether they’ll buy aspecific product or not. But with the superpowers of KOLs, they may beconvinced to buy products in an instant. Why? KOLs are credible and trusted bytheir followers. Sometimes, consumers only want validation from the people theyfollow, so that explains it all. So whether you’re brand is from the industryof Luxury, Beauty & Cosmetics, Banking & Finance, Lifestyle, &Consumer Goods — there’s definitely a lot of roomto work with key opinion leaders to succeed in your campaign goals! Didyou know that KOL Marketing is the most cost-effective way to reach your targetaudience accurately? Okay, you may ask: how cheap? Well, it’s probably not thecheapest type of marketing as the price will totally depend on time, campaignand the type of influencer you’ll be working with. In addition to that, nomarketing strategy is cheap. But in this modern world we’re in today, KOLMarketing is considered cost-effective because it can easily give you good ROI,so you’re probably going to gain more out of the money you spent. But again,there’s no instant success with this type of marketing, as the success willdepend on the consistency and relationship between the brand and KOL. Sohow can you do that as a brand? You can only target your audience accurately ifyou target your influencers accurately. Yes, you can’t just work with someonewith massive followers. It’s not always about the numbers. Furthermore, youshould also look into engagement as not everyone who has a lot of followers areefficient. One way to work with the right influencers is through a KOL platform.Working with a tech platform would be an easy way to connect with real andverified influencers of different niches. 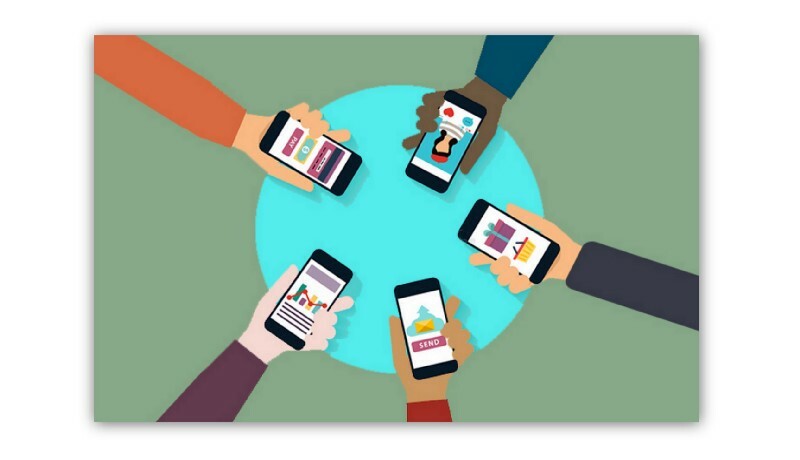 With that, you can effortlessly trackyour target audience. Weall know the saying “Whatworks for you may not work for me”, but it’s high time to throwthat away. In the world of marketing, you won’t know if something would workfor your brand if you don’t try it. We are living in the modern time and brandsare getting competitive. They’re seeing the importance in leveraging freshmarketing tactics like KOL Marketing. Marketing used to be a one-waycommunication, but with the rise of influencers, it became easier to attractconsumers. There’s nothing wrong with changing your tactics from time to time.It’s a good way to see if the strategy is beneficial to your brand in the longrun. Are you ready to enter the KOL Marketing world?